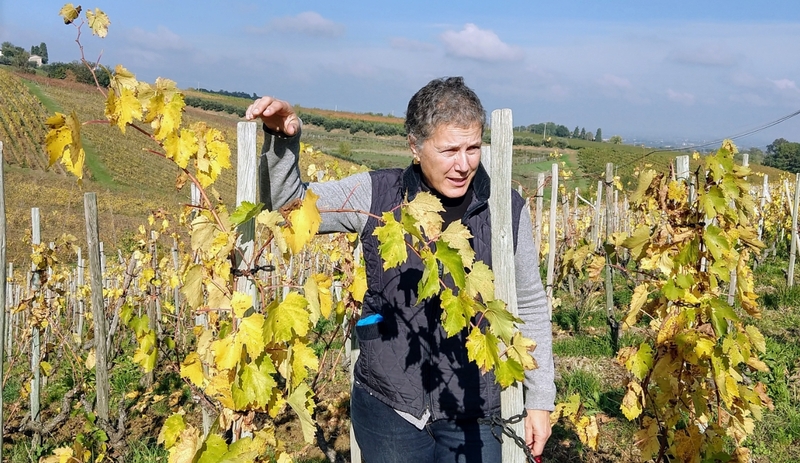 When Fattoria Zerbina matriarch Cristina Geminiani talks about her Faenza area vineyards in Italy’s Romagna, she gives the distinct impressions that a) she knows what she is doing, and, b) isn’t prepared to take any sh*t about it. At least, that’s the sense that I got when I got my feet into Zerbina’s 32 hectares of red clay and limestone soils during a recent press jaunt. Geminiani took over the reins of the family wine business (established in the `60s by her grandfather) in 1987, having studied at both the University of Milan and the University of Bordeaux. Geminiani’s “puzzle” necessitates a pasticcio approach to crafting wine in this case, primarily from Romagna’s Sangiovese and Albana grapes) – combinations of alberello, gobelet, and trellised vine training, and often different pickings (sometimes within the same plots). 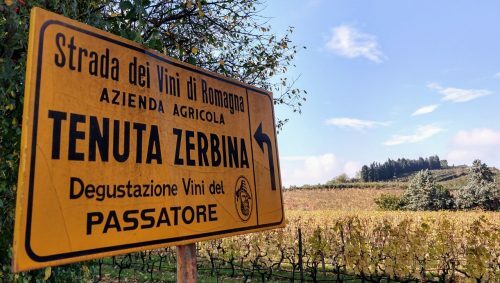 Zerbina’s proximity to nearby rivers means that their Albana is prone to noble rot, which Geminiani understandably has totally run with for their passito wine, given her experience in Bordeaux. Albana is Romagna’s other grape, the name being a Latin reference to the fruit’s whitish color. 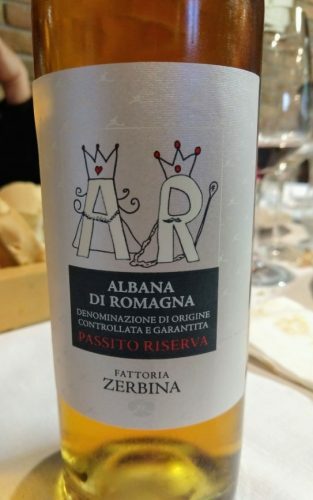 Interestingly, Albana from the region achieved DOCG status way back in 1987, which, this being Italy and all, I can only assume had deeply political origins. 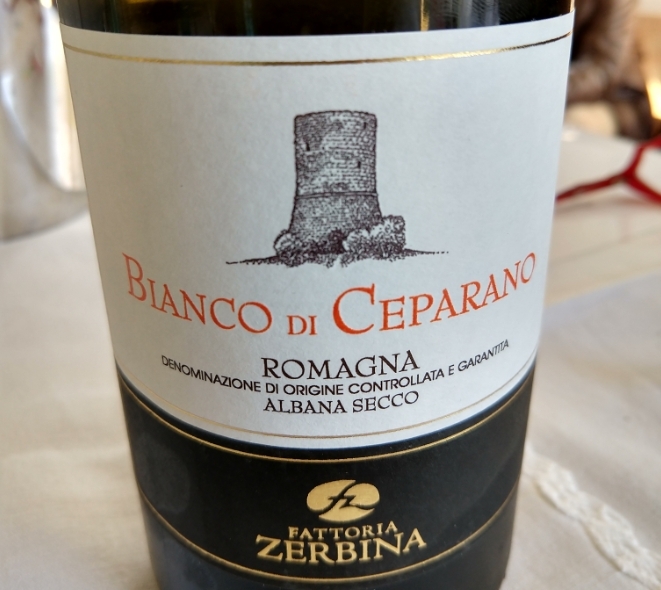 Zerbina didn’t get into Albana until 2008, but they have caught up quickly. An earlier harvest gives this a lifted, mineral, perky presentation, with a clean, crisp, clear, and linear mouthfeel. Tropcial fruits move on to stone fruit, fresh citrus, and then wet stone, all of it subtle and impeccably balanced. 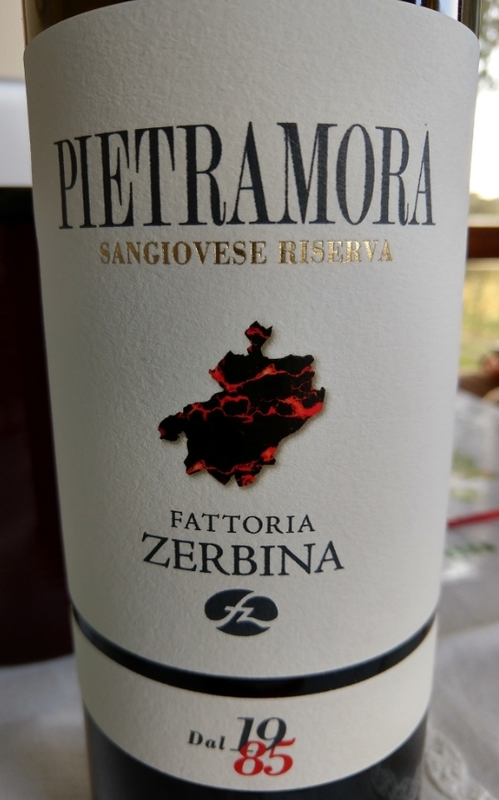 Made from the grosso Sangio clone, this is all crowd-pleasing, early-drinking delight; bright, fresh, with plenty of the cherry fruit after which it’s named. Hints of herbs and tobacco add nuance to the friendly proceedings. The vines that go into Zerbina’s flagship Sangio produce small berries with thick skins, a fact that permeates everything about this leathery, herbal, mineral red that aims for structure over overt opulence. Black cherries, juicy red plums, orange peel, and overarching freshness all combine to make you want to invent a time machine to be able to immediately see what this will become in several years time. I don’t know exactly how much this little wonder would fetch in the states per bottle, but it won’t be cheap, of that I can assure you. 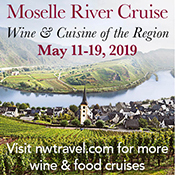 Single berry selection is used here to pick the best of their noble rot-infected Albana grapes, resulting in a concentrated, potent 300 g/l of sugar. Sultana, biscuit, honey blossom, candied lemons… this is fresh, luxuriant, balanced, and stunning.